Landlord Property Management Magazine » ‘It’s a Mold Problem, Trust Me…’ Really?!?! Why the differing opinions from practitioners in the same industry? Because a test only company got paid when they performed the inspection, so there is no reason to exaggerate a problem. The mold removal company won’t get paid the big bucks unless there is a problem that can be solved. Here’s the unfortunate (or fortunate if you’re a removal company) reality of a tenant complaint: the removal company knows you have to do something to cover yourself in the event of a formal complaint or lawsuit. The chances are very real that your due diligence will be exploited by the fact there is a tenant to force your hand when the removal company says there is a problem. Why would it be a conflict of interest for a full service company to investigate a mold concern for a property manager? It’s the old saying “When you’re a hammer, everything looks like a nail!” It’s a fitting metaphor for mold removal because there is a lot of destructive and reconstructive work associated with a mold problem. It can cost thousands of dollars to perform the simplest mold repair when you employ the services of a mold removal company. They will gladly forego a few hundred dollars of mold testing if they can skip right to the thousands of dollars involved with repair. Mold removal is very lucrative: once they have you under contract, a previously agreed to $1,500 repair can easily turn into a $3,000 repair, much of which translates into windfall profits for the removal company. It’s called a change order. Think about it, unless there is additional demolition twice the size of the original repair, do you really think it would cost twice as much in labor, materials and overhead? Probably not. These numbers are generalizations, but the occurrence happens often. Mold removal companies pose as inspectors so they can be the first responder. Conventional wisdom suggests the first responder gets the job. And once you’re under contract with a mold removal company, the cash register starts ringing fast. If a tenant is complaining about mold, it could be for several reasons ranging from the desire to break a lease, to actually being in danger due to a real mold problem. As a property manager, it is up to you investigate the problem and it will cost some money to get to the bottom of the issue. You have to balance cost versus benefit and be a good steward of your client’s funds. There is another saying that states, “An ounce of prevention is worth a pound of cure.” Yes, you may spend a few hundred dollars to get an initial inspection. But if it is determined there is no problem, you just saved your client thousands of dollars in unnecessary repairs. When a tenant complains about mold, it usually takes the form of a health concern. It is an industry accepted norm that indoor air quality is measured against outdoor air quality. Outdoor air is normal for everyone but indoor air quality varies depending on indoor environmental conditions and occupant behavior. In the case of a typical two bedroom apartment you could easily collect four samples: one outdoor and three indoor. Let’s say you have a bedroom with discoloration on the wall behind the headboard. An inspector would recommend a surface sample of the discoloration and an air sample in the bedroom. The surface sample will identify the type mold growth (if any) and the air sample will illustrate the affect it is having on the air quality of the room. Remember: air quality is the primary reason mold poses a threat to occupant safety. Collecting another air sample from a different room that is not suspected of having a problem will illustrate whether or not the air in the suspect bedroom is any different than elsewhere in the unit. The sampling protocol forms the basis for comparing a suspect room to a non-suspect room, and comparing indoor samples to an outdoor air sample. Even a fifth sample could be collected from the inside of the wall cavity to determine if the mold is originating from inside. If there is no mold inside the wall, an inexpensive, superficial repair could be all that is necessary to address the surface growth. When a test only company explains this sampling protocol, it makes sense to most people. Why, then, would a full service mold company suggest sampling is unnecessary? Because it could reveal that indoor air quality is fine even with fungal growth on a surface, like is often found behind furniture when the unit has not been well ventilated. Such an issue can be resolved with simple repairs and modified occupant behaviors. But, if there is no “problem”, there is no solution the repair company can profit from. The removal company would rather skip sampling and get to the good part: rip out those walls and charge thousands! This is what makes it a conflict of interest for full service mold companies. You paid your test only company to perform a mold inspection, and the property condition and sampling justify mold remediation. You may have suspected a problem, but now you are sure. The certified mold inspector has provided guidance for solving the mold problem so that you can begin interviewing remediation companies. The next step is to get three estimates for the price of repair. It can be time consuming, but it can also reveal the wide range of pricing schemes for the same project. This is a continuation of your due diligence because it is the most expensive part of the endeavor. Mold removal companies should have a state-issued contractor’s license, insurance, and certification in the arena in the mold contamination. You should be able to visit the agency’s website to verify the credentials of a qualified company. There are companies that will produce bogus paperwork so get third party verification. After credentials are established, you could interview references. This may be the least helpful aspect because a company can skim their best customers for reference purposes. Other aspects to consider are the company’s customer service, scheduling, and pricing. A mold remediation company confident in their service and competitiveness will usually provide a free estimate for repair. By the time you interview three companies you will be well equipped for this project and future complaints from tenants. Mold repairs are referred to as abatement, remediation, repair and restoration, among other terms. The commonly accepted industry term is mold remediation. The inspection conducted to verify the adequacy of mold remediation, is termed post-remediation verification a.k.a. “Clearance.” Full service mold companies will usually offer to inspect their own work to prove to you that it was done properly. They want you to “trust” them because common sense dictates that no visible mold means the mold problem has been solved. Beware! If a company offers to verify its own work, there is a conflict of interest. Mold remediation companies should not be afforded the liberty of grading their own work. The probability is too high for impropriety and a company will virtually never give itself a failing grade…that’s common sense. After spending thousands to remediate, it is well worth a few more hundred to have the work verified by a third party. There can be hidden mold still present and you will be none-the-wiser if you have not employed a third party to verify the work. Major television networks often conduct undercover sting operations on unscrupulous business operators. Last Spring (May 2012), there was one such operation involving the mold industry. NBC Rossen Report Investigators posed as unsuspecting, trusting consumers that wanted a professional opinion about the extent of a mold “problem” at their property. Several mold contractors visited the property and gave differing opinions about the extent of the same problem. What was revealed is that mold removal companies play on consumer fears or the sight of discoloration to exaggerate the problem and overcharge for the solution. In one instance, a removal contractor opined the discoloration he saw justified $10,000 worth of mold remediation without any sampling. The discoloration was eye shadow planted by the investigator! Moral of the story: when a mold removal company says “trust me,” find another company. This process is not about a “gut” feeling; this is about dollars and sense! It’s a fascinating investigation and well worth the read. Google it. There are several lessons to be learned from this article: 1. if you have a mold concern, perform your due diligence. It will benefit your client, your firm, and the tenant. 2. When you hire a mold professional, hire a “Test Only” company that doesn’t benefit from exaggerating the problem; if there is a no problem, a test only company will let you know. 3. If there is a problem, get it solved by a “Repair Only” company that will allow you to select a “Test Only” company to verify the work was performed in accordance with industry standards. Once the work has been verified by a test only company, use your maintenance contractors for reconstruction. Mold remediation companies can be expensive for reconstruction because there is a premium associated with the cachet of mold removal. This article was produced by Same Day Mold Testing, Inc. The company was established to assist owners and property managers in arena of mold contamination. If you have a mold concern, please contact our office to discuss the particulars of your situation. 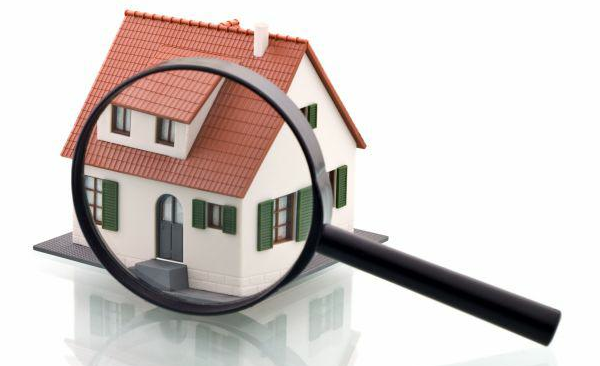 We operate seven days a week to assist property managers perform their due diligence in a timely manner. Office: 800-942-9980.